One in four UK nursing students drop out of their degrees before graduation, an investigation by Nursing Standard and the Health Foundation (HF) reveals. Data obtained by Nursing Standard show that of 16,544 UK nursing students who began three-year degrees that were due to finish in 2017, 4,027 left their courses early, or suspended their studies. This gives a UK-wide average attrition rate of 24%. And with figures from a Nursing Standard investigation of 2006 putting the attrition rate at 24.8%, it seems the problem has remained static for more than a decade. HF senior economics analyst Benjamin Gershlick said: 'Reducing attrition should be a crucial aspect of our overall approach to workforce planning. The RCN said bad experiences on clinical placements, financial difficulties and academic pressures all contribute to attrition. The government in England cut the NHS bursary in August 2017, meaning nursing students cover their fees through the loans system, if necessary. At individual university level, attrition ranged from as much as 50% to as little as 5%. Edinburgh Napier University had an attrition rate of 35% in the three years to 2017, putting the institution in the top five highest. 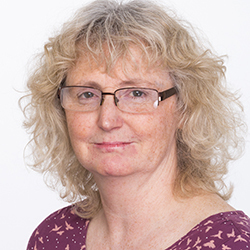 A spokesperson for the university said it was the only provider in Scotland delivering programmes across all four fields of pre-registration nursing and its cohort sizes are relatively large. He said 40% of the university's students are from the most deprived areas and were 'diverse' in relation to their age and their route into study. 'In 2017, almost 60% of our students were not school leavers between the age of 16-19. This means they often have other responsibilities, such as dependants, which is a common reason for students taking breaks in training,' the spokesperson said. Contrary to a widespread view that the bursary helped retain students, Edinburgh Napier University said it may make students less well-off. 'Another common reason for non-completion within three years is financial pressures. Student nurses in Scotland have free tuition fees and a bursary, but the latter is less than the student loan that is available to other students but not to them. 'Most of our students who take breaks in training do come back and complete within five to six years of beginning the programme. Ulster University had just a 10% attrition rate putting it in the best five universities in the UK for attrition. Ulster's head of the school of nursing Sonja McIlfatrick said it is important to understand the context behind the data. Professor McIlfatrick said: 'In Northern Ireland, we still have the bursary for nursing students. Our recruitment and admissions approach is very much value-based as well as based on academic ability and this would lend itself to ensuring a best fit for the course and profession. Nursing student attrition figures vary across the UK depending on their source and a lack of consensus about how to define and measure attrition means there is considerable variation in available data. Last year, Higher Education Funding Council for England data put attrition for adult nursing students in England at 10.6%. Meanwhile, figures from other official and governmental sources put attrition at 13-20% in England, 26% in Scotland, 10.3% in Wales and 5.7% in Northern Ireland. The Nursing Standard-Health Foundation analysis calculates these figures to be 25% in England, 26% in Wales, 23% in Scotland and 10% in Northern Ireland. See Nursing Standard's analysis for a more in-depth look at this issue.